Head straight to the platform with mobile tickets and etickets. Get real-time information and updates on your journey. 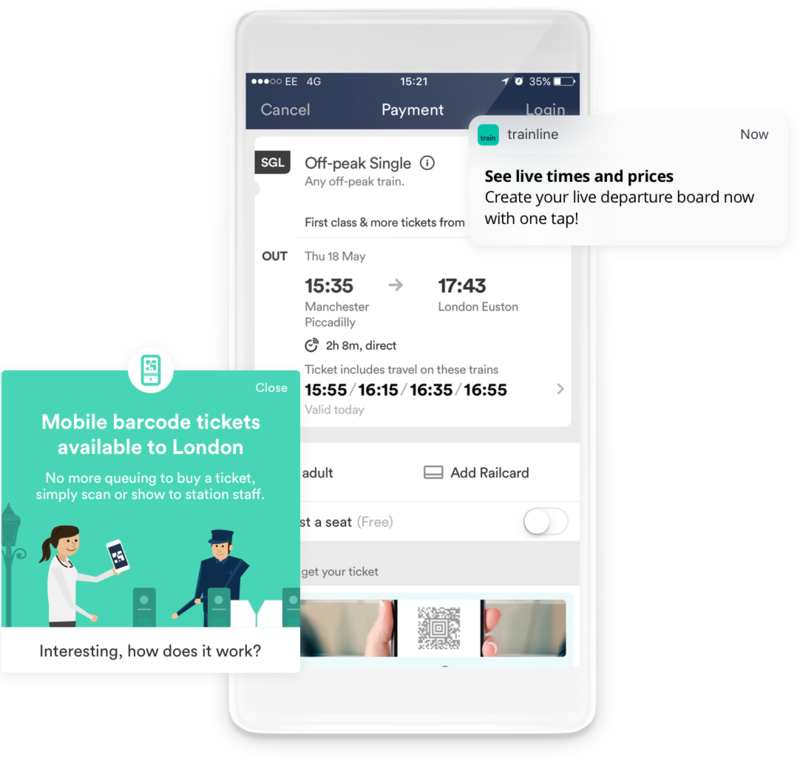 With live departure boards, price alerts, seat preferences, favourite routes and more, the Trainline app is all about putting you in control and making train travel easy. Plus, your tickets and trip details are just a tap away. Well handy. Train travel can be tricky, but it doesn't have to be. 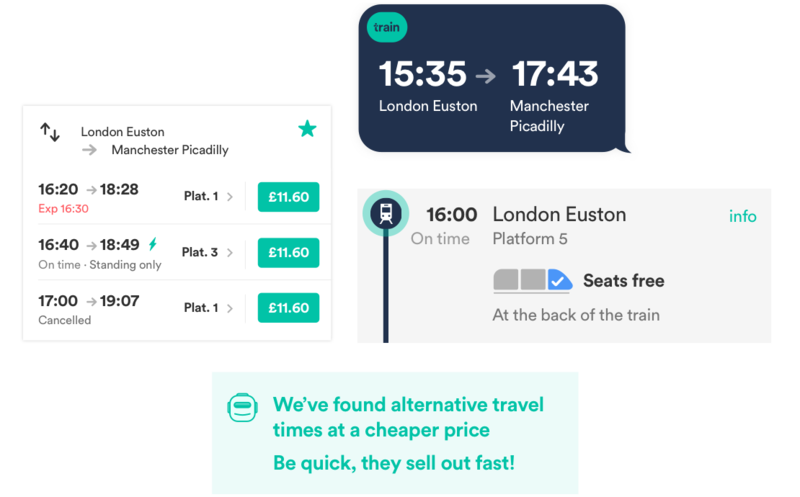 From finding you cheap train tickets to figuring out where that elusive empty seat might be, our helpful bots make sure you're always one step ahead. 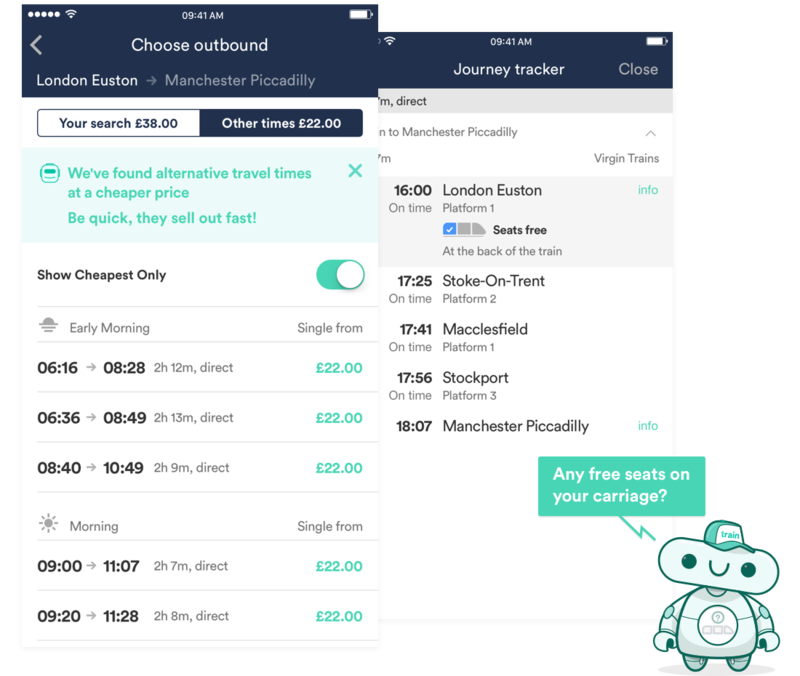 To find BusyBot visit the Journey tracker (in your app) and you’ll see highlights on the least busy zones of the train – front, back or middle. If you spot a question mark it’s because BusyBot relies on crowd-sourced data, complete the 2 question survey on that leg of the journey to help us get a clear view of how busy the train is. If you do find a preferable seat using BusyBot make sure to check that there isn’t a reservation for the journey leg you’ll be sat there. 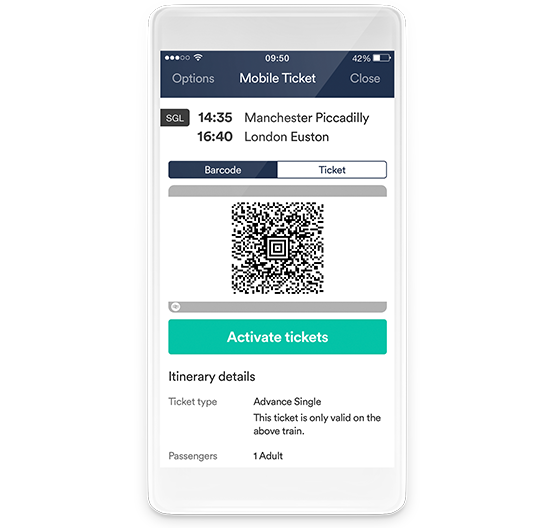 Mobile tickets are the effortless new way to travel by train – simply activate your ticket in our app and scan it at the ticket gate. No need to print, no need to queue. It's basically like having superpowers. You can learn more about mobile tickets here. These days, talking to inanimate objects is considered pretty normal – Google Assistant, Siri, a pot plant, you name it, we’re all up for a chat. Now, next time you want to book a ticket or find out when the next train home is, you just have to ask – literally. 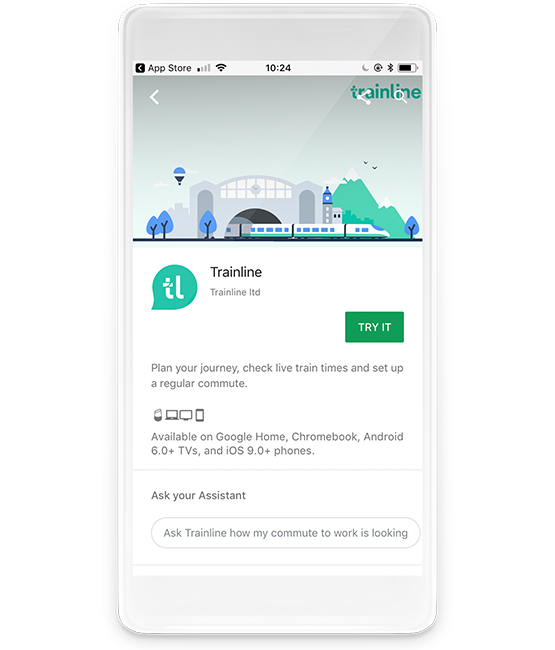 If you’ve got the Google Assistant on your Android phone, just ask your Google Assistant to “talk to Trainline”, then ask everyday travel questions, check for delays or even weather info. Siri user? You can set voice-activated shortcuts for your favourite journeys too. Whether it’s your commute or the trip to nan’s house, set it up and Siri will pull the relevant info directly from our app. 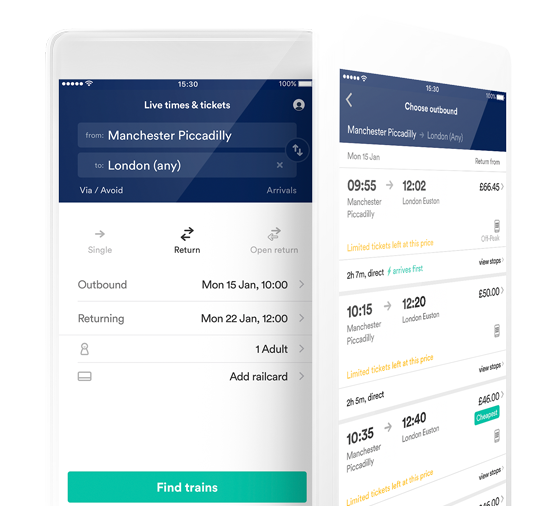 We’re proud to have the UK’s most advanced voice-activated rail and coach app. Our voice app can give you trip info on the day of travel, or for future journeys, but it’s even smarter than that… Siri on iOS 12 understands how you’re using your Trainline app, and automatically offers you personalised suggestions when they’re needed the most! Keep talking to get smarter, more personalised results. Get all prices, times and tickets in an instant.